A leading educator in Georgia, Carlene used her teaching experience in Kentucky and Georgia classrooms as a springboard for helping set state and national standards for learning. Carlene is the Teacher And Leader Effectiveness Manager for the Georgia Department of Education. She also sits on key education committees. On the national level, Kirkpatrick has worked with the Chief Council of State School Officers to revise and write model core teaching standards. Carlene said she chose education as her career because of her teachers here in Woodford County who challenged, inspired and encouraged her from her first day in Kindergarten until the day she graduated 20 years ago. We’ve heard that it takes a village to raise a child, and Carlene will tell you she is thankful that her village was Woodford County. 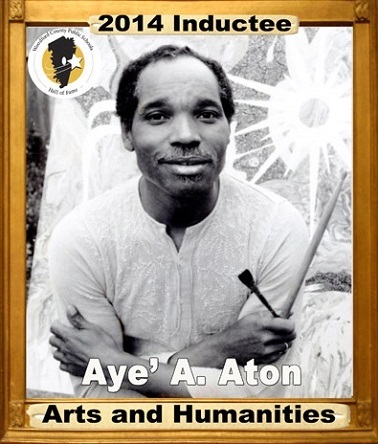 A professional artist since 1964, Aye’ has exhibited and toured in Europe and Africa. The Paris Review hailed Aye’ for his space-themed murals, describing the bold colors and pictorial energy as “galactic shapes that morph into biological forms and back again.” In 2013, an exhibition of his work was shown at the Studio Museum of Harlem. Aye’ is also a jazz drummer; he performed and traveled with noted artist Sun Ra. Born Robert Underwood and graduated from Midway High School in 1957, Aye’ now lives in Louisiana. He said when he moved to New York City and then Chicago, his mother would call, worried about him living in the big city. He says he always reminded her that he is a product of Midway and Versailles, where he was instilled with deep-seated values. 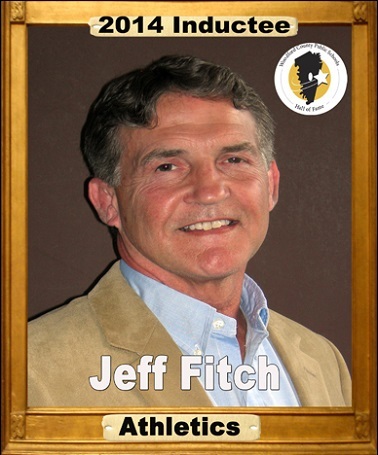 If Woodford County is Kentucky wrestling royalty, then Jeff Fitch was most certainly King in the early ’70s. Jeff was crowned state champion three times in three weight divisions: 138, 145 and 155. And twice he was named Most Outstanding Wrestler at the state tournament. As a sixth grader, Jeff was the youngest varsity wrestler in the United States. The next year he was the youngest U.S. wrestler to compete in a state tournament. And as a senior, in 1974, Jeff completed a remarkable—and incredible—run: One hundred and one matches, one hundred and one wins. In 1992, Jeff became the first wrestler inducted into the Kentucky High School Athletic Hall of Fame. We have also grown basketball royalty here in Woodford County. Before Paul won a professional basketball championship with the Rochester Royals, he pounded the courts in Central Kentucky. 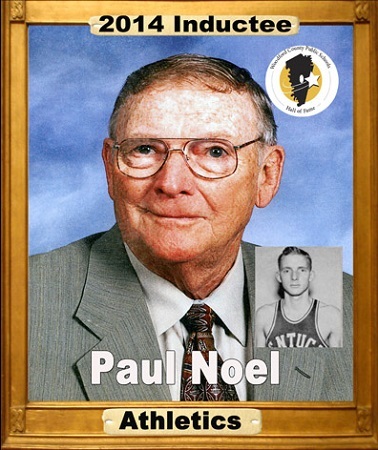 Mr. Noel scored more than one thousand career points for the Midway Blue Jays and led his team to an undefeated regular season during his senior year, 1942. He was selected as a Kentucky All-star that year and played for Adolph Rupp at the University of Kentucky the next. Pressing needs at home, though, forced Paul to abandon his college career and return to the farm. But basketball did not forget Paul, and in 1947, he began a professional career, playing first for New York, then Rochester. 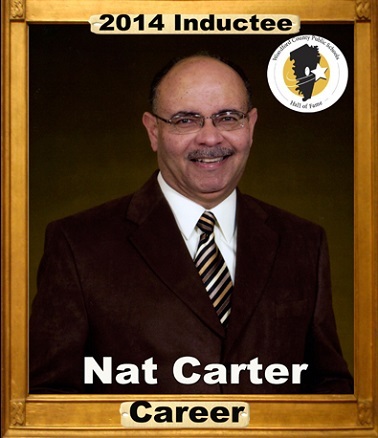 Nat graduated from Woodford County High School in 1969, and when he returned in 1977 as band director, he stayed for 28 years. Nat took the band to competitions, parades and festivals in cities like Orlando, Toronto, San Francisco, Boston and New Orleans. He was Woodford County Teacher of the Year in 1984 and was cited for excellence by a national magazine in 1998. Nat is a product of our schools, starting at Simmons Elementary prior to integration. Before directing the band at WCHS, Nat taught music at Nonesuch. For 30-plus years, his philosophy was not to teach music, but to teach kids​. Known by television viewers across our great state since 1991, Leigh Searcy has been on Channel 18 News for the past 14 years. She was named Best TV Reporter in Kentucky by the Associated Press in 2005 and was nominated for an Emmy. Leigh’s journalism roots began at Woodford County High School (class of 1987), where she worked on the yearbook and took a media class led by Dave Noble. She looks back kindly upon middle school teachers who taught subjects often unkind to Leigh. Of the many stories Leigh has reported on air, it was one that occurred off the air that made all her fans smile: In 2013, after reporting on a man in need of a kidney transplant, Searcy-Dotson decided to donate a kidney of her own to a stranger in need. 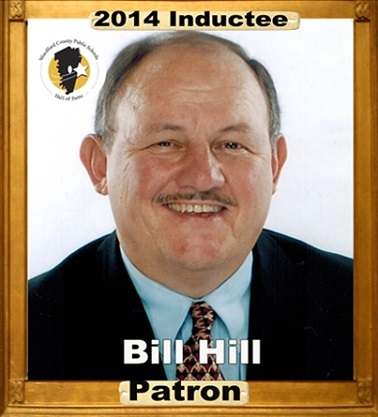 ​﻿When contacted about being selected to the hall, Bill was quick to credit the students he taught, guided, and coached. But the fact that he taught, guided, coached – and gave of himself – for 28 years in Woodford schools had more than a little to do with it. Bill coached girls basketball for 13 years at WCHS, twice reaching the state tournament; three times he was named regional coach of the year. Bill also coached golf and assisted with boys basketball, and for a full decade, he served as the school’s athletic director. He even served as president of the state AD association. That was all after hours, of course. For Bill’s day job, he taught vocational education at WCHS for 12 years and served as assistant principal there for 11 years. 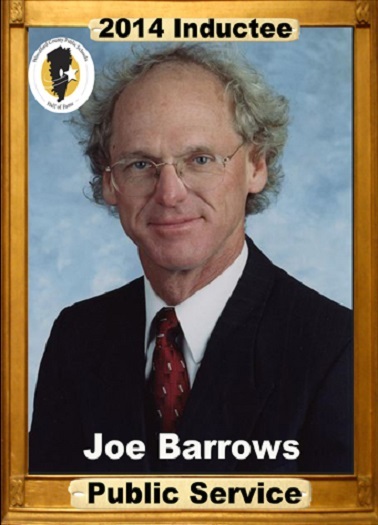 For 27 years, Joe represented the people of Woodford County in the Kentucky House of representatives. He championed bills and projects such as education reform and school construction, Falling Springs Recreation Center, and legislation that advanced industrial hemp, famers markets and small wineries. Salutatorian of the Class of 1968, Joe was later mentored by a Hall of Fame member, Vic Hellard, but he still remembers the times that teachers helped him set a career course by telling him to follow his gift for leadership. He was uncomfortable in the spotlight, though, and credits his friends for helping him become a skillful politician. Here’s the rest of the story: The man who won 13 straight general elections, campaigning door to door, was too nervous to speak when seeking his first election, as student council president at Woodford Junior High. For this Midwegian, seven decades of volunteerism began wrapping bandages for World War Two soldiers back when she was a teenager. 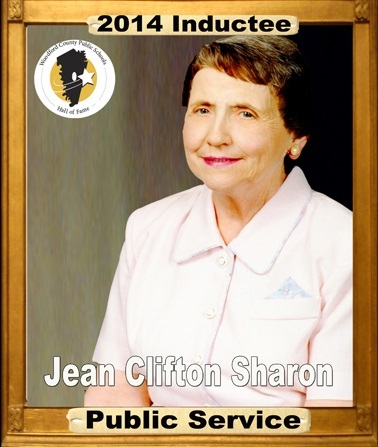 Later, Jean Sharon joined the Midway Woman’s Club and became president. Subsequent contributions to the community include service to her church, Midway’s kids and city government. Jean was on the Midway City Council for 11 years, where she was a champion for improvements to the city’s infrastructure. For two decades she was the Midway correspondent to the Woodford Sun, a newspaper I have a passing acquaintance with. What the Sun paid her probably didn’t cover her gas to Versailles and back, but it didn’t matter. Sharing Midway news with the people of her community mattered. The team took top honors at the Kentucky High School Speech League competition, performing excerpts of “Scenes from Story Theatre.” The play was a collection of fairy and folk tales that required the cast not only to act, but also to be able to sing, play musical instruments, and become all of the major props and stage settings.